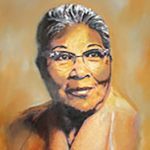 Cahuilla Elder and museum founder Dr. Katherine Siva Saubel is a remarkable woman who has lived through many changes and has worked tirelessly to link us to a rich and unique Cahuilla past. Born on March 7, 1920 to Cahuilla speaking parents at Pachawal pa (the upper village of the Los Coyotes Indian Reservation) Katherine spent the first years of her life in the mountains above Warner Springs, up where only Cahuilla was spoken. She had 11 siblings in her immediate family (6 boys and 5 girls), and she was the eighth. At the time, the Los Coyotes Reservation was much more isolated than it is today. Undoubtedly this isolation is in part to thank for her superb command of her native tongue and for her profound understanding of Cahuilla culture. After over eighty years of having to survive in an increasingly English world, Katherine is still very much a dominant native speaker of her dialect of Cahuilla known as “Mountain Cahuilla,” and the Cahuilla culture is still very much alive in Katherine’s heart, if nowhere else. On advice from a Cahuilla shaman, Mrs. Saubel’s father moved his family out of Los Coyotes to a warmer part of the Cahuilla territory. In 1923, when she was almost four years old, the entire family settled on the land of Pedro Chino (her mother’s uncle) at the Agua Caliente Reservation in Palm Springs. There another dialect of Cahuilla, known as “Pass Cahuilla” was spoken, and Katherine learned it as well, even though it is the dialect of Cahuilla most divergent from Mountain Cahuilla. In 1925 or 1926, Mrs. Saubel’s maternal grandmother — a native speaker of the third and final dialect of Cahuilla known as “Desert Cahuilla”— came to live with her daughter’s family. From her maternal grandmother, Mrs. Saubel learned to understand the Desert Cahuilla dialect, which was not that different from her own native Mountain Cahuilla dialect. It was also around this time that Katherine entered the segregated elementary school in Palm Springs, where she acquired English by the time honored sink-or-swim pedagogical method. She initially spoke not one word of English, but she learned by observing and figuring out what was being said. No one taught her; she was just put in the back of the classroom and ignored, but she still learned. Katherine was a “tomboy,” often playing and rough housing with her brothers – running around, climbing trees, and sometimes making mischief. Her grandmother once made her some dolls to play with, and sat to play with her, but Katherine did not like it, and upset her grandmother by throwing the dolls up in a tree so she could climb up into it. After she finished primary school, Katherine wanted to go to high school, but at the time there was not one in Palm Springs yet, so she had to take a bus with white students to Banning. She was athletic and enjoyed sports like softball and archery. She was the best archer in the all-male class. Halfway through high school, the Palm Springs high school was finished, so she transferred and was the first Native American or (Indian) woman to graduate from there. As a very young woman Katherine began to realize the imminent loss of Native American culture and knowledge, which had been passed down through generations. During her high school years, she kept a notebook describing all of the familiar native plants and their uses as foods, tools, and medicines. Her family was able to survive well during the Great Depression of the 1920s by going back to their traditional ways of hunting and gathering. They never went hungry, and Katherine learned much from her mother, who was a great cook, gatherer, and medicine woman. Her mother instilled in her the idea that you must take care of the earth because it takes care of you, and if you destroy it you are destroying yourself. Since childhood, Katherine has always had a fiery wit, an unwavering bluntness, and a strong sense of justice. She was never afraid to stand up for her people and their rights. During high school she had to wait at a bus stop on the reservation in front of a small restaurant that had a sign in the window saying “Whites Only.” When she noticed the sign, she marched into the restaurant and told the owner to take it down because his restaurant was on reservation land and he had no right to keep Indians out of a restaurant on their own land. The owner didn’t say a word when she told him this (she thinks he was shocked to have an Indian teenage girl telling him what for), but later when she walked by the restaurant the sign had been taken down. Katherine’s father Juan encouraged her keen intelligence and modeled to her the importance of education. 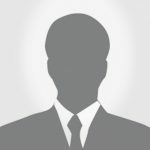 He had never attended school as a child, but enrolled in St. Boniface at the age of twenty and learned English, Spanish, and Latin in three years. He did not have much formal education, but seemed to have a knack for picking up languages. He also spoke Cupeno, Luiseno, and bits of other Native languages along with his own Cahuilla language. Despite Katherine’s desire to continue her education after high school, funding for a much desired nursing career was not available for reservation Indians at the time.When she was 18, Katherine met Wanikik Cahuilla Mariano Saubel at the last Cahuilla ceremonial gathering, on the Palm Springs Reservation. She noticed him right away across the fire, and told her girlfriend next to her, “I’m going to marry that man.” She asked her nephew, Robert, who Mariano was, and Robert introduced them. They spent the rest of the ceremony in the kitchen, talking the night away. Two weeks later, Mariano borrowed his father’s car to take her out. They dated for two years, and had to wait for permission to marry because one of their elder relatives thought they were too closely related (by Cahuilla standards) to get married. Finally, her father told her that it would be okay, and that they were not too closely related. 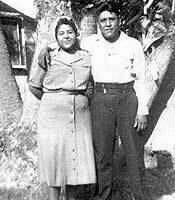 In 1940, at the age of twenty, Katherine married Mariano Saubel, who lived at the Morongo Reservation near Banning (where both Mountain and Pass Cahuilla were spoken, as well as the distantly related Serrano language). Katherine describes Mariano as a very loving and gentle man, who loved animals and children, saw two sides to every story, and did not speak badly of others. Just one year and a half after they were married, Mariano was drafted for WWII. Their son Allen was born just before Mariano was sent overseas in 1943; luckily, he was able to take a little time away from training to come home and meet his son before being deployed to serve in North Africa and Italy. He was gone for three years; Katherine wrote him every day. She spent most of her time taking care of Allen and working their small family farm and orchard with her in-laws. As Katherine puts it, she “worked like a man” with her father in law, and learned the hard way how to drive a tractor and irrigate the crops. She enjoyed it more than cooking, housework, and basket weaving, which she says were never her strong points. Mariano’s mother was a well-known Cahuilla basket maker, and she watched the baby while Katherine worked in the fields and orchards. Mariano and Katherine Saubel were married for forty-five years, until Mariano Saubel passed away in 1985. Allen was their only son, but they also helped raise his four children, as well as nieces and nephews. Mariano was extremely supportive of Katherine’s work to preserve Cahuilla and other Native cultures, and worked with her to found and build the Malki Museum. In 1958 Katherine was introduced to Lowell Bean, who was then a student of ethnology and anthropology at UCLA. 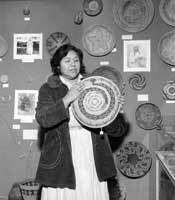 This began a forty year collaboration on Cahuilla culture. Lowell Bean is a man as remarkable as Mrs. Saubel in his own way, for Dr. Bean has managed not only to become an eminent scholar on the Cahuilla (Bean 1969, 1972, 1972, 1989), but has also become a lifelong friend of Mrs. Saubel’s. One need only observe Mrs. Saubel and Dr. Bean interacting for a short time to understand that theirs is not a distant, predatory relationship between Indian informant and academician, but rather a friendship built on mutual respect. Soon after they met, Dr. Bean introduced her to Dr. William Bright, Professor of Linguistics and Anthropology at UCLA. Her life began to change – her formal education had begun. She entered willingly into the new world of academics, and became a catalyst for sharing and learning in the academic surroundings of universities and museums. Mrs. Saubel realized that the Cahuilla were in danger of being completely engulfed and forgotten by the dominant English speaking society which surrounded her people. She resolved to make it her life’s work to help document the Cahuilla culture and language before it was too late. The Kennedy Scholarship for Native Americans in 1962 allowed Katherine (at the age of 42) to travel to the University of Chicago and the University of Colorado at Boulder, where she studied the fundamentals of ethnology, anthropology, and linguistics. She then began giving seminars and study groups at UCLA under the direction of Dr. William Bright. Together, Dr. Bean and Mrs. Saubel (1972) authored Temalpakh, a monumental yet easily readable work detailing the ethnobotanical knowledge of the Cahuilla (much of the information comes from Mrs. Saubel’s mother, who was a Cahuilla medicine woman). Dr. Bean and Mrs. Saubel continue to be involved in anthropological scholarship on the Cahuilla. Katherine Siva Saubel has since become known internationally as a Native American scholar and appears in the biographical Reference Encyclopedia of the American Indian (1967) and many other biographical reference works. She is a forceful communicator, acclaimed public speaker, and activist in matters of Indian rights. Katherine has brought her talents to bear on public forums, universities, TV, films, and radio. She has traveled and lectured widely, including places like UCLA, California State University Hayward, UC Riverside (where she served as Regent’s Lecturer during the spring of 1990), the University of Cologne, Germany (where she conducted seminars for anthropology students in 1971), and the Hachinohe University in Japan in 1997. She has traveled to Germany (1971, 1991), Japan (1997), and New Zealand (2002). 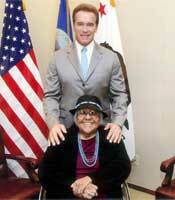 She also spoke at UC San Diego in 1994 for American Indian Youth Motivation Day. Katherine has served as member and chairwoman on the Los Coyotes tribal council for many years. As a leader of her people, Mrs. Saubel has worked tirelessly on many important issues – the preservation of sacred sites, prevention of hazardous waste disposal on Native Reservation lands, reburial of Native bones and sacred artifacts to maintain the sanctity of ancient burial grounds and sites, and testifying before the U. S. Senate, the California State Assembly, and other government agencies and committees. Her skill in bridging differences and in negotiating solutions to problems is tempered by a sense of humor and wisdom. She has also served as a member of the Governor’s California Native American Heritage Commission and has been active on many fronts concerned with preserving California Indian culture and historical sites. Her work on the commission has brought attention to the cultural resources, the sacred sites, and the need for an amendment to the religious freedom act. She is proud to have reburied many ancient remains in the sacred manner, with the ancient and sacred Cahuilla birdsongs. She has worked with many noted anthropologists and linguists, including Professor Lowell Bean, and Hansjakob Seiler (a German linguist), who with her assistance published two studies of the Cahuilla language. She also worked with Japanese linguist Dr. Kojiro Hioki, from the Hachinohe University. Drs. 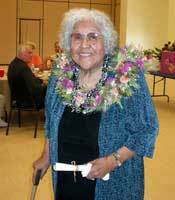 Seiler and Hioki worked together with her to publish an updated book on the Cahuilla language in 2006. Her published works include Temalpakh: Cahuilla Indian Knowledge and Usage of Plants (1972) with Dr. Lowell Bean; Cahuilla Ethnobotanical Notes: Oak with Dr. Lowell Bean (University of California Archaeological Survey Report, 1962); Kunvachmal: A Cahuilla Tale (The Indian Historian, 1969); Cahuilla Ethnobotanical Notes: Mesquite and Screwbean, with Lowell Bean (University of California Archaeological Survey Report, 1968); I’Isniyatam (Designs) a children’s book, 1980; and editorials in the Journal of California and Great Basin Anthropology. Overall, Katherine awakened interest in the Cahuilla language, not only in the universities and with foreign scholars, but also with young Native Americans. Mrs. Saubel’s ability to stand by her beliefs and heritage when challenged by different factions of tribal government or private interest groups is almost legendary. She blends hard work and fierce determination with wonderful laughter and kind words to those in need. Her innate ability to interact with people of all walks of life and her openness to the achievements of others carry the marks of a great woman. She has been able to influence and inspire others around her, and encourages honor and respect for nature and tradition. Her recognition of the different parts men and women played in the preservation of cultural and spiritual life has also made her a most effective and valuable representative of her people.